When DUI cases end in conviction, it may be possible to avoid some of the harsher penalties via alternative sentencing. To clarify when alternative penalties may be an option, below, we have answered some of the most commonly asked questions about alternative sentencing for DUIs. Please note that the following answers are purposefully general (to be as widely applicable as possible). When you are ready to get answers related to your situation and case, as well as your best DUI defense options, simply contact a Denver DUI lawyer at the Griffin Law Firm. 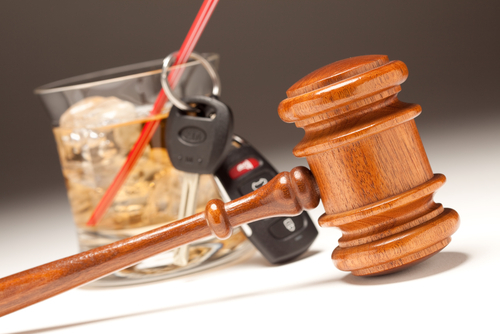 Q – What types of alternative penalties are available for DUI cases in Colorado? Serving out the jail sentence over the weekends. Q – When are these alternatives available? The DUI did not involve any aggravating circumstances, such as a car accident, significant property damage and/or injuries to others. The convicted individual has a relatively clean criminal record (like one with no prior DUIs). The convicted individual had a relatively low BAC. Typically, alternative sentencing is invoked when the court decides that the individual (and/or community) may be better served with the lesser penalty. It will not be an option when the court sees the convicted individual as a threat or risk to public safety. Q – What if I already have a prior DUI? Am I out of luck for alternative sentencing? A – Not necessarily; alternative sentencing can still be an option for people with multiple DUI convictions. In fact, even when felony DUI cases end in conviction, it may still be possible to seek alternative penalties – like alcohol treatment in lieu of prison time. In these situations, it will usually be necessary to express a desire for treatment (i.e., the alternative) to the court. Q – What happens if someone fails to satisfy any of these alternative penalties? Additional criminal charges and/or cases, which could also trigger additional jail or prison time. If you or a loved one has been charged with a DUI (or another offense) in Colorado, you can turn to the Denver DUI lawyer at Griffin Law Firm for experienced help and the best possible defense. With nearly 20 years’ experience in the criminal justice system, our attorney understands the complexities of the system, the challenges different defendants can face and the best ways of overcoming these challenges to bring criminal cases to successful resolutions.